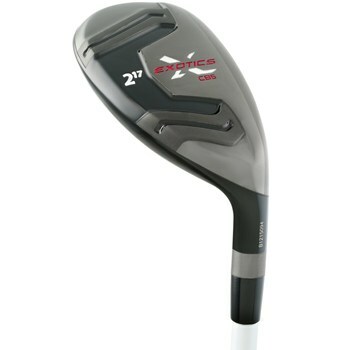 The Tour Edge Exotics CB5 hybrid is constructed of a stainless steel body with a maraging steel cupped face design that provides superior feel and distance. The heavy hyper-steel body provides ideal weight positioning and center of gravity location to deliver a penetrating, workable ball flight and a hot launch off the maraging steel face. The smaller head design and swept wing sole provides outstanding forgiveness and delivers exceptional distance and control from more parts across the face. This club is a great long iron replacement for the serious player and is backed by a Lifetime Warranty from Tour Edge.